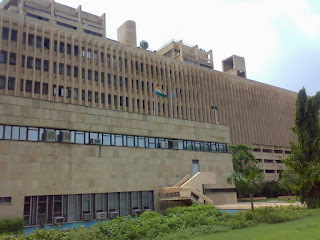 The Indian Institute of Technology, Delhi (located at Hauz Khas) (formerly College of Engineering & Technology Delhi), commonly known as IIT-Delhi or IIT-D , is a major college of engineering in Delhi, India. It forms a part of the league along with other IITs in India: the Indian Institute of Technology, Bombay, Guwahati, Kanpur, Kharagpur, Madras, and Roorkee. 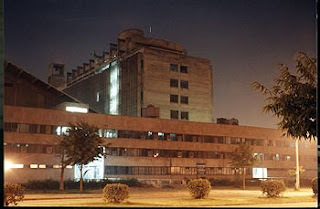 The institute was established as College of Engineering & Technology, Delhi on August 21, 1961. Its foundation stone was laid by HRH Prince Philip, Duke of Edinburgh, and was inaugurated by Prof sudama, then Union Minister for Scientific Research and Cultural Affairs. IIT Delhi has 13 departments. A department usually focuses on a single engineering or science discipline. Each department has its own administration structure with the Head of the Department (HoD) at the top of it. The HoD heads the department for a period of two years after which a new head is appointed. Each department offers a program (at the undergraduate or post-graduate level), some departments such as Mechanical Engineering Department, offer two or more undergraduate level programs and some departments collaborate with each other to offer a joint program. An example of the latter is the M.Tech in Optical Communications program which is offered by the Department of Physics and Department of Electrical Engineering. 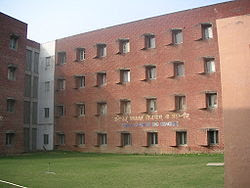 The Department of Management Studies (DMS) at IIT Delhi came into existence in 1993 by an amendment to IIT(D) statutes. The department offers a two year full time MBA programme with focus on Management Systems, a two year full time MBA with focus on Telecommunication Systems Management and a three year part time MBA programme with focus on Technology Management.